Save on your next flight from MBS to LGB when you book through Travelocity. Need a last-minute flight to Long Beach? Travelocity offers discount airfare no matter when you book, even on popular routes such as MBS Intl. Airport to Long Beach Municipal Airport. Whether you need a direct or indirect flight, you can trust Travelocity to provide you with the best prices for MBS to LGB flights. Top Flights from MBS Intl. Top Flights to MBS Intl. Looking for Rental Cars Mataram? We offer excellent daily rates from the top rental car companies. Travelocity offers amazing deals on flights around the world. Find Tilburg Airfare and feel confident that your online booking experience will be fast and easy. With tens of thousands of hotels to choose from including Hotels near Coronado Beach you will always find the best place to stay on Expedia. Find the best Jakarta Indonesia Vacation Packages today. Get a flight, hotel and rental car at the best online rates. Flight path for flights from MBS International Airport to Long Beach Airport. Below are the most flown air carriers at Saginaw (MBS) airport. Click to see their most popular routes and look for airfare. Below are the most flown air carriers at Long Beach (LGB) airport. Click to see their most popular routes and look for airfare. Explore Long Beach with Travelocity's Travel Guides to find the best flights, cars, vacation packages and more! 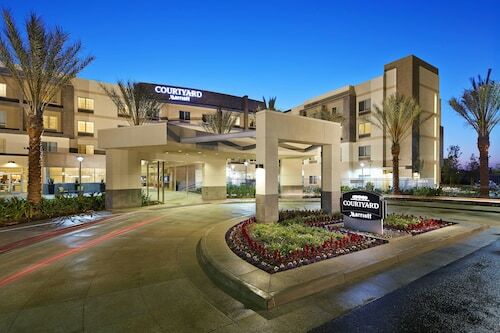 Located in Harbor, this hotel is within 6 mi (10 km) of Recreation Park Golf Course, California State University Long Beach, and Hawaiian Gardens Casino. Walter Pyramid and Earl Burns Miller Japanese Garden are also within 6 mi (10 km). Located in Harbor, this hotel is 4.3 mi (6.9 km) from California State University Long Beach and within 12 mi (20 km) of Long Beach Convention and Entertainment Center and Long Beach Cruise Terminal. RMS Queen Mary and Medieval Times are also within 16 mi (25 km). 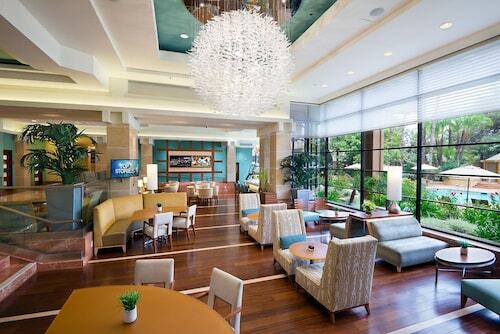 This 8-story hotel is a 10-minute drive from shopping at Lakewood Center Shopping Mall. Aquarium of the Pacific and Long Beach Convention Center are 15 minutes away.